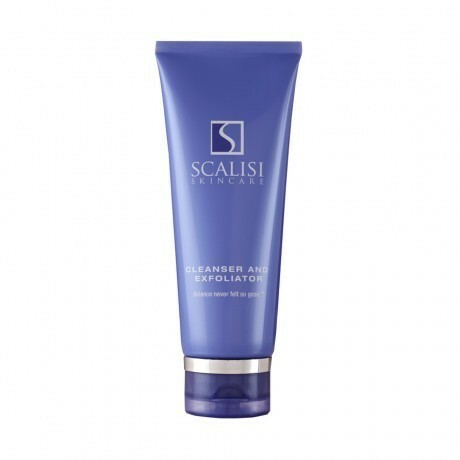 Combining the best of science and beauty, the Cleanser and Exfoliator from Scalisi Skincare thoroughly cleanses the skin without stripping away moisture. This 2-in-1 daily cleanser and exfoliator features tiny micro-beads to gently exfoliate dead skin cells, allowing new cells to surface. The paraben free Cleanser and Exfoliator is formulated with jojoba, macadamia nut and sunflower oils to moisturize, while time released vitamins A,C, and E nourish skin and help provide antioxidant protection. I love this amazing cleanser. I use it every evening to remove my makeup. I apply it to a wash cloth and massage it all over my face, neck and chest area before rinsing. My skin is left feeling completely clean and refreshed, and looking radiant and new.